Comic Book Hoedown: I'll See You at NY Comic Con! Super excited about this one, folks. 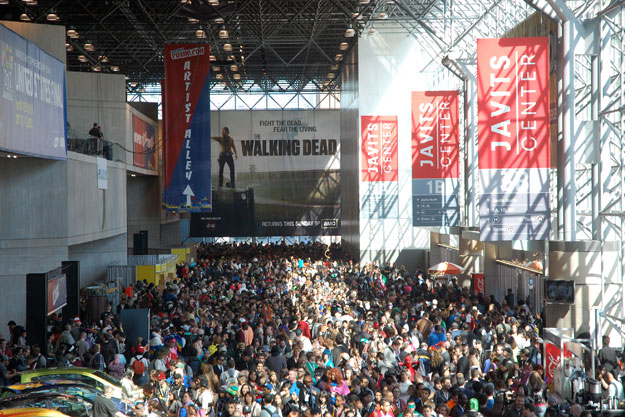 I'm headed to NYCC for the first time, and I'm hoping to be able to blog about it while I'm there, time permitting. I'll be wandering the floor all weekend, and I'd love to meet any of the folks reading the Hoedown that might be attending as well. If you'll be there, give me a shout in the comments. I'm sure we'll bump into each other. P.S. : I haven't forgotten about that villain post I promised, but it's morphing into something else; hopefully it'll make it up next week.